A root canal is a dental procedure used to fix damaged teeth, this includes decay, a filling fracture, or even trauma. Root canals are needed when the tooth’s nerve becomes infected or abscessed, which can cause excess pressure and pain, even without biting down. The root canal will help heal the actual root of the tooth, eliminating your symptoms of pain and discomfort. However, it can take multiple visits to allow the tooth to properly heal and react to the treatment. Steps like sealing in medicine and removing infected tissue are also part of the root canal procedure. If a root canal has been put off, it’s also recommended that a crown be used. Because the affected tooth becomes brittle, there is a high chance of it being broken or chipped, even after the root of the tooth has been healed. As soon as you suspect there is an issue with your teeth or gums, contact your dentist as soon as you can. A root canal may be prevented if the decay is identified early on. 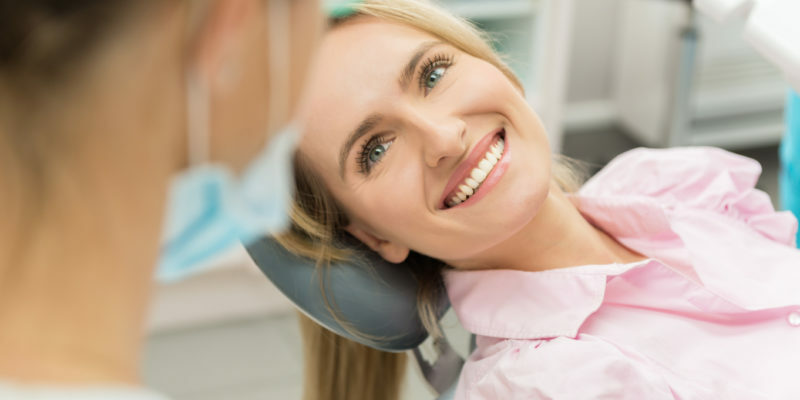 If you’re having any dental pain or to determine if you might be a good candidate for a root canal, give Family Dentistry of Columbus a call today. Our dental professionals, Dr. Polk and Dr. Parker offer a low-stress environment in our office in Columbus, GA. We look forward to seeing your smile!